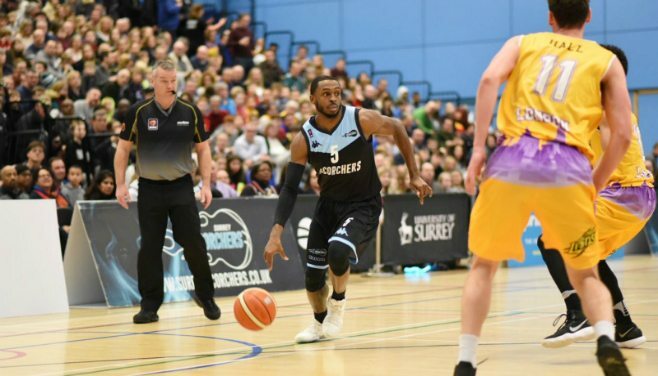 Surrey Scorchers’ playmaker Tony Hicks has had his blistering form recognised after being handed the Molten BBL Player of the Month award for February. The guard has been on fire during recent weeks, posting a number of exceptional performances and stuffing the highlights reel with an array of exciting and entertaining plays. Hicks topped the performance efficiency chart with his efforts and this helped Surrey to go through February unbeaten. He was the leading scorer in the BBL Championship with a massive 26.3 points per game, helped by a jaw-dropping 69% from the floor. Hicks also led the league in assists, handing out a dazzling 9 per outing. But it wasn’t only offence where he showed out. He also did the business at the defensive end of the floor by grabbing 2.7 steals per game.